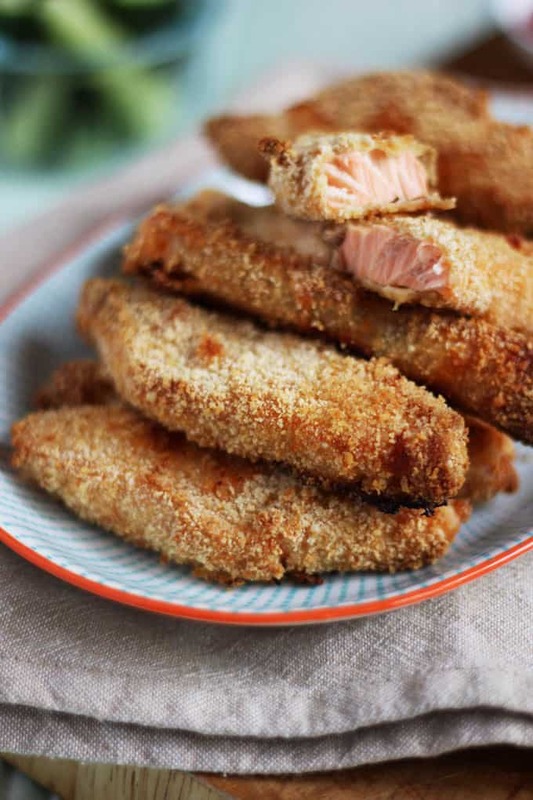 Easy peasy home made salmon fish fingers. 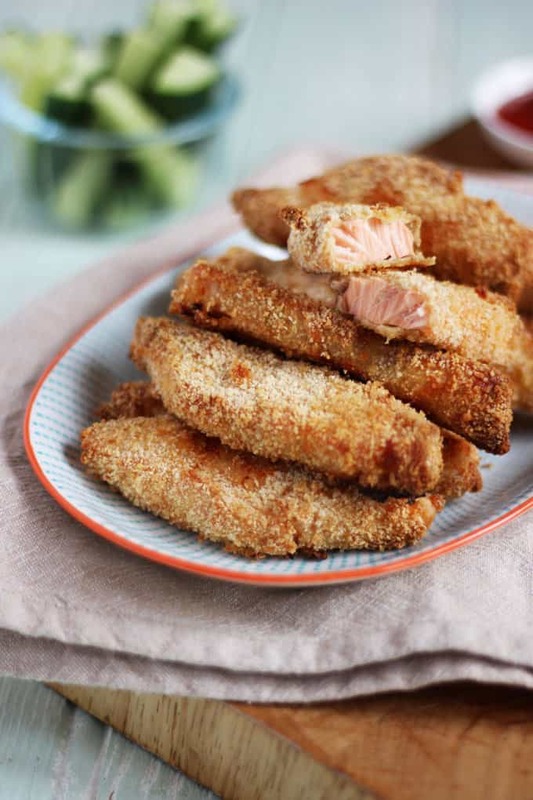 Goujons of Norwegian salmon, breaded and oven baked, not fried, for a simple, healthy family supper. Like most families, we are always trying to find ways to make out diet a little bit healthier. We do pretty well on the five a day front, luckily my little ones love fruit and vegetables. But the two a week of fish, we’re not so hot on. The Norwegian Salmon Council got in touch with me recently and challenged us to eat salmon for a week. I thought it would be a great chance to inspire us to include some more fish in our diets in the future. Salmon is full of Omega 3 fatty acids and a great source of vitamin B and vitamin D. At least one portion of oily fish is recommended in your diet once a week, which we definitely aren’t managing at the moment. We’ve got no excuse as Norwegian salmon is super easy to find in supermarkets and really quick to prepare and cook. 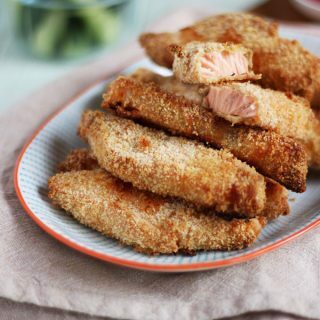 The children love good old fish fingers, so I thought that would be a great place to begin, with home made Norwegian salmon fish fingers. 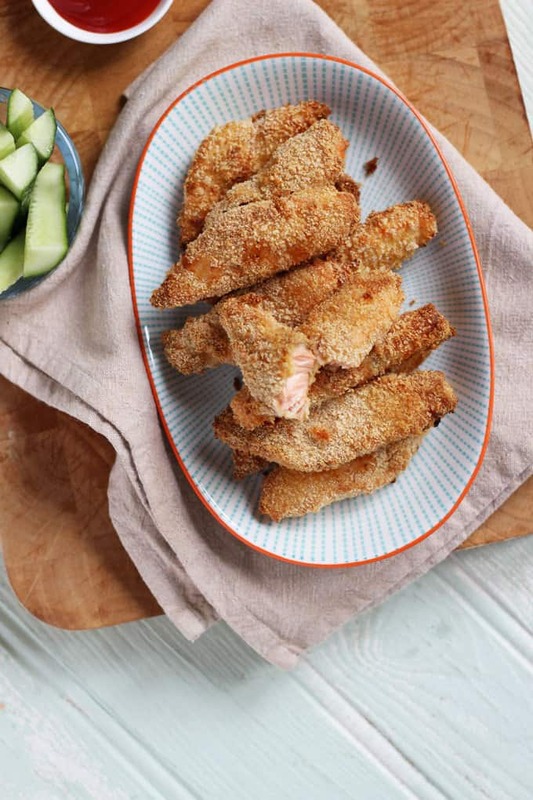 These little salmon goujons are really quick and easy to make. They are oven baked, rather than fried to keep them a little lighter. They were a huge hit here, G&H LOVED the ‘pink fish fingers’. These would also make a delicious change from the usual sandwiches, served cold for packed lunches or picnics. 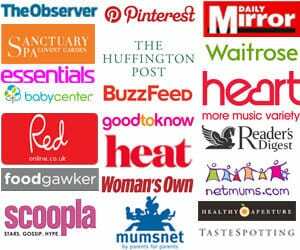 Does your family include your portion of oily fish a week or are you in need of new inspiration as we are?! What’s your favourite salmon dish? You could make these and freeze them before cooking. Then when you want to eat them, take them out of the freezer to defrost in the morning and boom, even easier family friendly dinner ready to cook later. I’ve been lazy here and used ready made breadcrumbs, but of course you could make your own. A delicious crispy fish family dinner with a cajun twist. Slice the salmon into fingers. Dip each finger into flour, then egg, then breadcrumbs. Pop onto a greased baking sheet. Bake for 20 minutes or until just cooked through. These look incredible, Sarah! 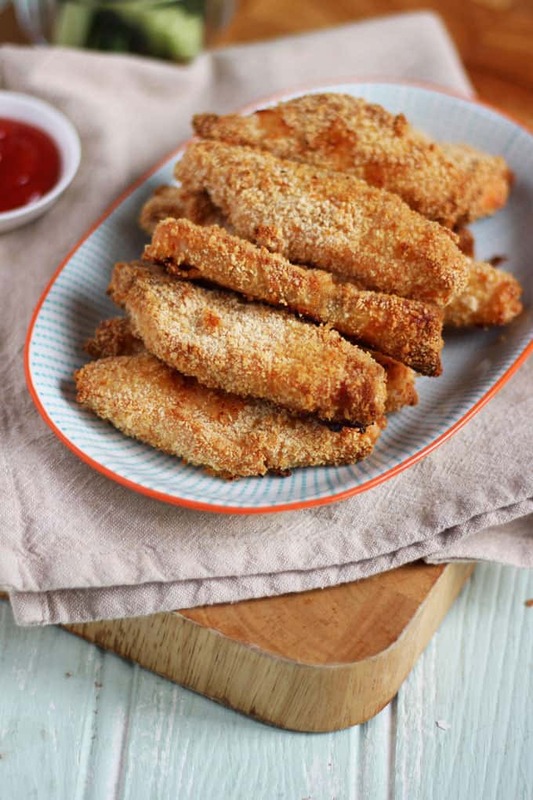 Been thinking about making my own fish fingers soon, too!